Will not ban NRA-connected contractors from doing business with the city but will require them to disclose any contracts or sponsorships. The NRA sent a letter to the City Council through a law firm threatening to sue if the ordinance was approved. Councilman Mitch O'Farrell told reporters that he did not know if the city currently does business with any NRA-affiliated contractors. The Los Angeles City Council Tuesday unanimously approved an ordinance requiring city contractors to disclose any ties they have to the National Rifle Association. The ordinance, which needs to be signed by Mayor Eric Garcetti before becoming official, will not ban NRA-connected contractors from doing business with the city but will require them to disclose any contracts or sponsorships they have with the gun rights advocacy group. 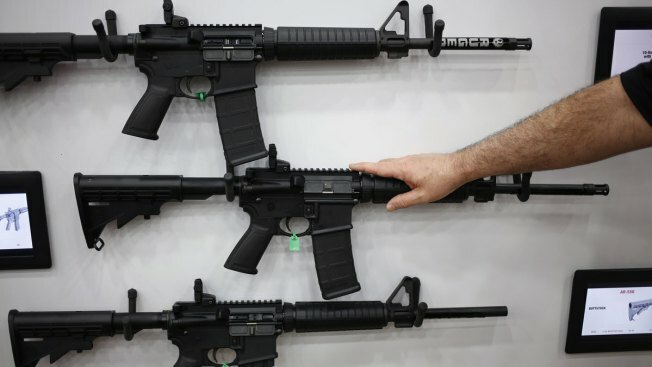 "The NRA's influence has led to a proliferation of firearms, including weapons used in combat across the country, and it has emboldened their 'guns of every type, everywhere, for everyone' agenda," Councilman Mitch O'Farrell said during a news conference before the vote. "Bottom line, the NRA's outsized influence is making the United States a more dangerous and more costly place to live." The NRA did not immediately respond to a request for comment, but sent a letter to the City Council through a law firm threatening to sue if the ordinance was approved. "The First Amendment protects the right to free speech and association," the letter reads. "The proposed ordinance specifically blacklists those who affiliate with the NRA and is an unconstitutional effort to restrict and chill an individual's right to associate and express their political beliefs. It forces NRA members who are contractors or who wish to become contractors with the city to make a choice in whether they support the advancement of their beliefs and the causes they hold dear or put food on their table." The City Council approved a similar ordinance in 2017 requiring contractors or prospective contractors to disclose whether they submitted bids to work on President Donald Trump's proposed border wall. Although it did not ban those contractors from working with the city, the ordinance sent the message that Los Angeles would be unlikely to hire a contractor with ties to the wall. O'Farrell's motion calling for the NRA ordinance was introduced in September of last year and says the city of Los Angeles historically has enacted ordinances in support of gun safety without objection. It also says that 1,600 mass shootings have happened in America since the Sandy Hook Elementary School mass shooting in 2012, citing the Gun Violence Archive, which quantifies a mass shooting as when four or more people are wounded or killed, not including the shooter. "For the sake of transparency, the city's residents and stakeholders deserve to know how the city's public funds are being spent, and whether taxpayer funds are being spent on contractors that have contractual or sponsorship ties with the NRA,'' the motion states. O'Farrell told reporters that he did not know if the city currently does business with any NRA-affiliated contractors. "I honestly don't have clarity on that, which is one of the reasons I wanted to do this ordinance. Let's find that out," he said. "It's simply disclosure." O'Farrell also said he was not surprised the NRA was threatening to sue. "There's been a letter sent to the City Council by the NRA claiming that this ordinance violates the First Amendment," O'Farrell said. "Well, here's what I would say to that. We have our rights of free speech, as well. The public has a right to know, and of course the NRA is suing, because that's what they do." Following the mass shooting at Stoneman Douglas High School in Florida last February, several corporations that had offered discounts to NRA members cut ties with the organization, including Delta Air Lines, United Airlines and the Hertz rental car firm.